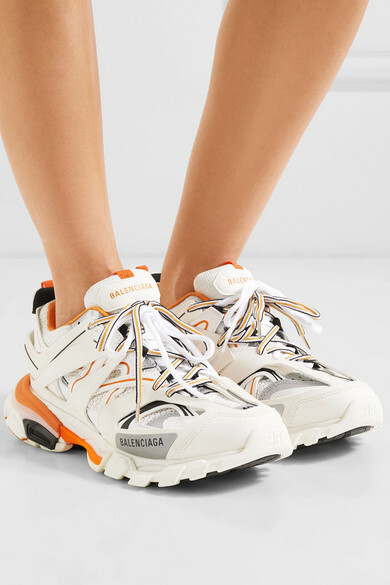 96 technical components make up Balenciaga's 'Track' sneakers, so they mirror the look and feel of high-performance gear. 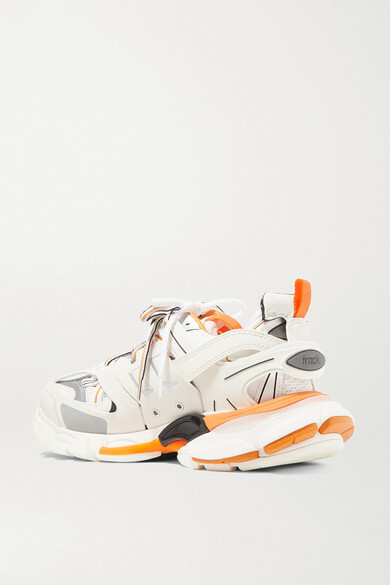 Set on a nine-piece sole, this pair has caged uppers layered with leather, mesh and rubber and features reflective trims and striped laces. 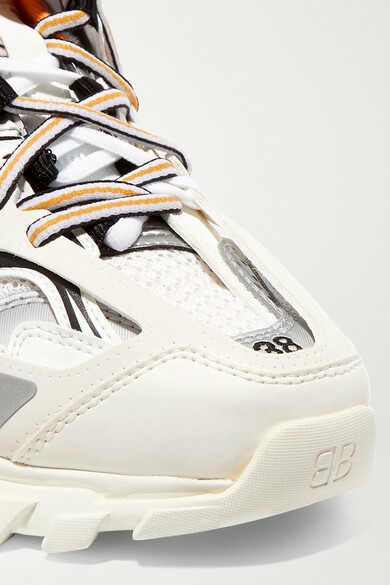 Just like the brand's other cult styles, they're embroidered with the European size on each toe. Cropped pants are the best way to show off all the details. 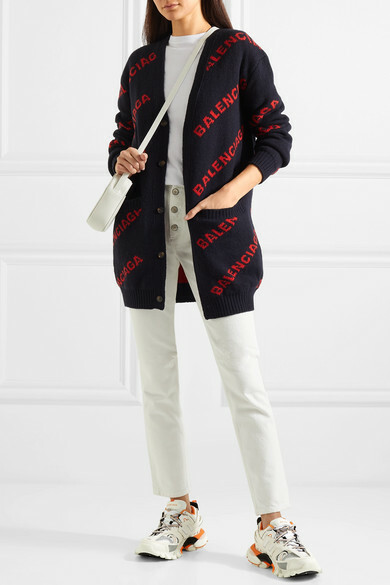 Shown here with: Balenciaga Jeans, Balenciaga Cardigan, Balenciaga T-shirt, Balenciaga Shoulder bag.